The Austrian construction company announces a new record high for order backlog of € 15.7bn. The outlook for 2012 was confirmed. In February 2012; turnover in the industrial and construction sector was up by 11.8%. Construction output grew by 10.4%. Alpine, the Austrian construction company, landed another major contract for a railroad project in Romania. The project volume is € 218m. Due to the weaker economic growth and the austerity policies, demand for new buildings is decreasing. Osijek Koteks, the Croatian subsidiary of the Austrian construction group faces severe problems. According to rumors, Osijek Kotekts is illiquid. 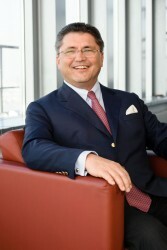 Hans-Peter Haselsteiner is mandated as CEO of Austria´s largest construction company until 2015. Nevertheless, he will leave the management board earlier. Proceeds will be used for general business purposes and the further improvement of the financing structure of the Austrian construction company. Positive production trends in industry and construction in January 2012: turnover was up by 11.1%. Construction output grew by 17.9%. The Austrian construction company wants to strengthen its equity base, which shrank to 15%. In 2010, the quota stood at 22%. The third-largest Austrian construction company had to write off projects in Hungary and Romania. Net losses totaled € 72m. The Austrian construction company achieved profits of € 10m last year after € 17m in 2010. Revenues went up moderately. The Vienna-listed construction company recorded a 12% increase in net income. The output volume rose by 12%. In 2012, an output volume of € 14.3bn is expected, EBIT guidance is very ambitious, Strabag says. 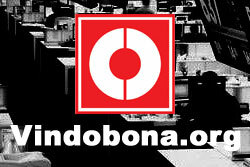 The Austrian construction group was awarded to build an incineration plant near Ljubljana. The order volume is about € 112m. The Austrian construction company has good prospects to receive a major contract in Slovakia. The contract volume is € 126.3m. The two Austrian construction companies are suspected to have participated in three price arrangements. The order volume is € 190m. Austrian construction firms team up to make the shortlist for fit-out work on 52km of Crossrail tunnels. Worth GBP 400m this represents one the largest contracts on the new east-west rail link across London. In order to develop the Danube region of Hungary, Serbia, Romania, Bulgaria and Ukraine, the Austrian construction group expands its hydraulic engineering business. The € 7m contract to be fully financed by the European Bank for Reconstruction and Development. In November, the German subsidiary of the Austrian construction company published a profit warning. Now, the initial expectations were recovered. 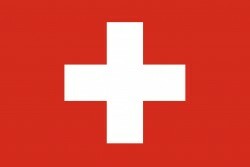 The Austrian construction industry recorded an increase in volume of orders by 10.2% at the end of December 2011. Output of construction of buildings and civil engineering rose by 2.9% from January to December 2011. 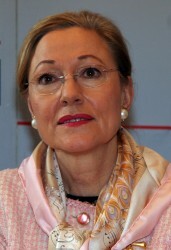 Austria´s former Minister of Foreign Affairs heads the supervisory board of Alpine. The appointment will take place at the next Supervisory Board meeting of Alpine, FCC's Central and Eastern European subsidiary. Ed. Züblin, a subsidiary of the Austrian construction group Strabag, was awarded to build new universites in Hamm and Lippstadt. The contraction volume amounts to € 100m. The Austrian construction company is involved in the German Railroad’s large-scale Stuttgart 21 project. 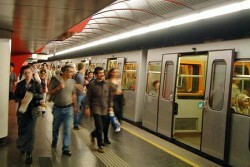 Extension of underground line U1 in Vienna: The Austrian construction group receives contract for two construction lots. The order value reaches about € 90m. The Austrian construction company strengthens the diversification of financing structure. 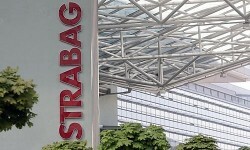 Strabag issues two fixed-interest and two variable tranches with terms to maturity of 5 and 7 years. Beltway to solve Brasov's traffic problems. The Austrian construction company prevails over six competitors in Romania. In November 2011; turnover was up by+8.2%. Orders in the construction industry rose by 11.8%. Construction output went up moderately. Luz del Sur, one of the largest electric utility companies in Peru, has awarded Andritz Hydro a contract to supply the electromechanical equipment for the Santa Teresa hydropower station. As Turkey wants to modernize its infrastructure, Turkey is seen as growth market. Strabag intends to participate in future projects. The Austrian construction group will build a highway near Milan, Italy. The order volume totals € 1.7bn. 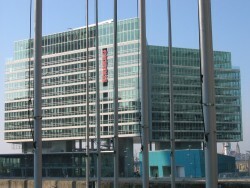 The Austrian construction company recorded a construction volume of € 14.3bn in 2011. 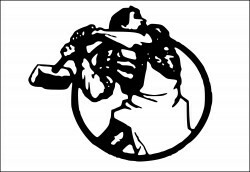 For 2012, stable results are expected. The Austrian construction group takes over Trierer Kalk-, Dolomit- und Zementwerke (TKDZ) in Wellen. The Mexican steel producer Tyasa ordered the construction of a completed steelworks. In Thailand, Siemens Austria builds a roller plant. The Austrian construction company is building a bus rapid transit system in Tanzania for € 134m. The Austrian investment company acquired the Slovenian market leader in environmentally friendly construction. Due to the worse economic forecasts, the trade union expects more unemployed persons in the construction industry. Output of the Austrian construction industry rose by 1.8% in 2011. Increase in volume of orders by 11.9% in civil engineering and construction of buildings at the end of October 2011. The Austrian manufacturer of building material aims for catching up the lost year 2011 in Libya. According to Porr´s CEO Karl Heinz Strauss, the Austrian construction group raises ist capital within the next 60 days. Operating business is performing well, Strauss says.